Featuring a comprehensive selection of superb start-up opportunities, The Franchise Exhibition is a must-attend event for enterprising individuals, providing visitors with a wide range of invaluable business opportunities. The event will provide all those considering franchising as a business opportunity with the guidance and support they will need before making a decision about selecting the right franchise for them. Experts from the British Franchise Association (bfa) will be on hand to give advice, and there will be a series of free seminars from industry experts providing a thorough introduction to franchising. All visitors to the event will be able to meet with directors and senior managers of leading franchises to find out about the opportunities available in the UK and Ireland. Established franchisees will also be available to share their expertise and provide potential investors with a clear insight into the reality of becoming a franchisee, and running a successful franchised business, through the support structure that is a franchise. 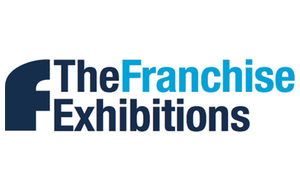 In association with the bfa, this exciting exhibition, prompted by tremendous interest in and demand for franchises in the area, has again attracted an impressive range of franchising companies after its successful inaugural year in 2006. There will be franchises to suit every interest, skill and budget. Among those exhibiting will be Agency Express, Apollo Blinds, Assist Financial Solutions, Ink World Belfast, O'Briens Sandwich Bars, Pristine, Raring2go, Signs Express, Spolar, The Streat Franchising and Vantana. An insightful seminar programme will run on both days to be presented by senior industry experts from the bfa who will advise on choosing a franchise and how to start up and build a successful franchise operation. 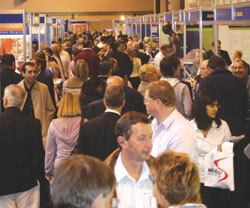 The Exhibition also incorporates the Start Your Own Business Zone. If you are looking for business advice and services to start your own business, either independently or through a franchise model, or you are a new franchisee looking for start-up guidance, the Start Your Own Business Zone will provide you with all the answers. The showcase will be supported by a series of free seminars from leading advisors, consultants and successful entrepreneurs who will provide inspirational advice, case studies and success stories. Visitors will also benefit from fantastic business networking opportunities and the chance to visit the Business Plan Clinic for a one-to-one consultation.